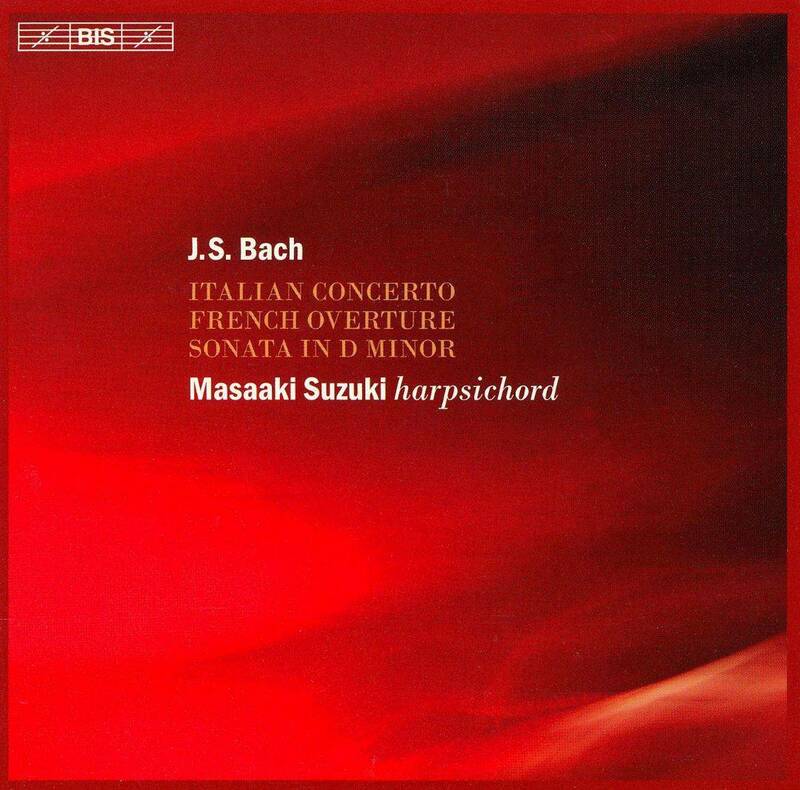 Strong but delicate, deliberate but subtle, driven but supple, Masaaki Suzuki's 2005 recording of Bach's Italian Concerto and French Overture for harpsichord are quite convincing in their own distinctive way. In Suzuki's hands, the opening crash of the Italian Concerto is as instantly arresting as the powerful opening prelude and fugue from the French Overture is immediately appealing. Yet the concerto's following Andante is as emotionally nuanced as the overture's Sarabande is deeply affecting and the concerto's closing Presto is as joyfully rambunctious as the overture's Gigue is relentlessly propulsive. 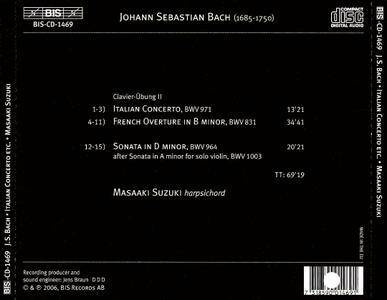 Better yet are Suzuki's performances of Bach's own transcription of his A minor Sonata for solo violin as a D minor sonata for solo harpsichord. Here, Suzuki's playing and interpretation are all of a piece; a deep, dark, soulful, and sometimes scary piece, true, but still one overwhelming piece. And whatever the work, Suzuki's playing is always first rate, if not quite as strikingly virtuosic as some full-time harpsichordists – after all, Suzuki's full-time job since 1990 has been directing the Bach Collegium of Japan, the group recording Bach's complete cantatas for BIS. 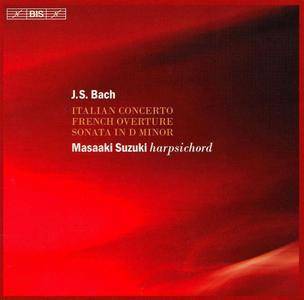 Captured in crisp sound, this recording will please Suzuki's many fans in Japan and around the world. Thanks to the Original ripper (unknown)!